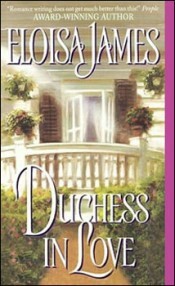 The Desperate Duchesses series fathered this trilogy, so to speak: two of its heroes appear as small children in the earlier books. 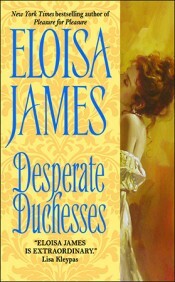 All of the heroines in Desperate Duchesses are duchesses. Here, quite to the contrary, they are working women—albeit high-born working women; for example, Lady Xenobia India is what we would now call an interior decorator. 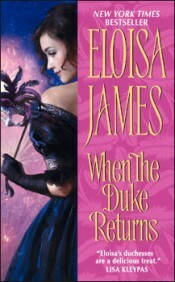 It was a great pleasure to bring back the Duke of Villiers, who plays a part in each of the three romances. 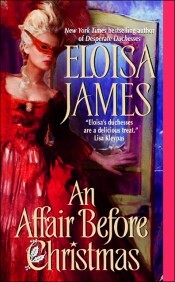 The inspiration for this series came from the Georgian era, which was a naughtier time than the Regency, with a different tone to relations between men and women. Think less Almack's, more Pirate Kings (and Queens). 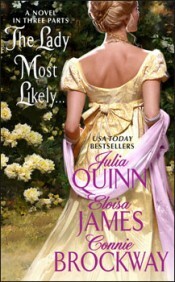 The lives of a group of duchesses intertwine through the novels, though they can certainly be read out of order. Another thread is the Duke of Villiers, who plays something of Cupid role in every book except his own (A Duke of her Own). The Wildes of Lindow Castle follows the large, eccentric family of the Duke of Lindow, who live in a castle on the edge of a sprawling bog. You might think of the series as a cross between Modern Family and Downton Abbey. It’s set in the Georgian period, when people wore big wigs and bigger skirts. England at this time saw the first real true blossoming of celebrity culture, driven largely by the printing press. Etchings of the Wildes travel throughout England on tinkers’ carts, and are collected by everyone from dairymaids to duchesses. 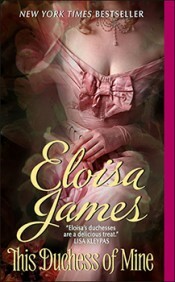 I’ve written books set in the Georgian period (my Desperate Duchesses) and in the Regency period (all the rest! ), but these are my first novels taking place in fairytale time, albeit with a dusting of the Regency. I’ve loved fairytales since I was a child; I adored Andrew Lang’s Blue Fairy Book, Yellow Fairy Book, and the rest. But it wasn’t until I was reading those stories aloud to my daughter that I was struck by a few questions: What on earth was Cinderella’s prince thinking when he set up the infamous ball? How did Beauty feel about getting that particular nickname? And what would the princess in The Princess & the Pea think of her future mother-in-law, once she learned of the tests? These novels differ from my previous series in that no character moves from one fairy tale to another, though there are links in the novellas. 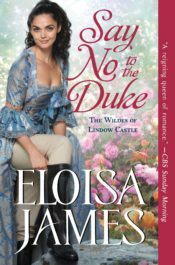 Storming the Castle, features a character from A Kiss at Midnight, and Winning the Wallflower introduces the heroine from The Duke is Mine. The tie that binds them is the thrill that comes from hearing the words Once Upon A Time. They can be read in any order. After writing about the bond between women friends in The Duchess Quartet, I wanted to turn to a relationship that can be even deeper: that of sisters. My sister is very dear to me. But I didn't want to depict a relationship that was all sweetness and light. After all, I still have my 5th grade diary, with my sister's mocking annotations covering up my heartfelt pages! This series begins with the story of four Scottish sisters, orphaned and sent to England to be wards of a duke (Much Ado About You). Each novel stands on its own, following the story of one sister. Yet the thread of Imogen's story winds through the first three novels. One new challenge for me was to show Imogen maturing and changing through several books, while staying a minor character. 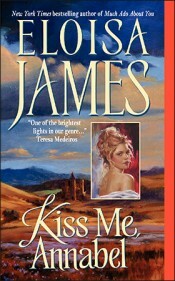 It's been interesting to see how readers who dislike her in Kiss Me, Annabel grow to love her in The Taming of the Duke. 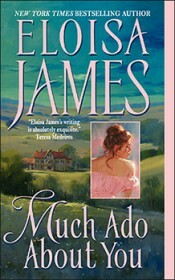 Each of these books stands out in my mind as having particular virtues: the hero of Much Ado About You (Lucius) is wonderful in his wounded, quiet, king-of-the-universe fashion, and Kiss Me, Annabel's road trip to Scotland, involving a kissing game, is, quite simply, delicious. 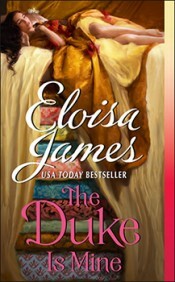 The Taming of the Duke brings my darling, drunken Rafe into sobriety and marriage in an undercover, hilarious fashion, and Pleasure for Pleasure allows sharp-tongued, plump Josie to triumph over everyone in the ton who labeled her the "Scottish Sausage." She's Cinderella - without losing an inch of her lush figure! 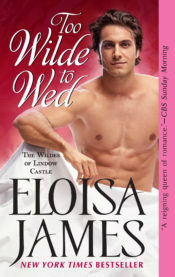 Two final notes on connections in this series…the Earl of Mayne, who first appeared in Your Wicked Ways (the Duchess Quartet), appears in every one of these four novels and finally marries in Pleasure for Pleasure. 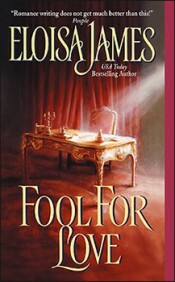 Also, Lucius Felton (hero of Much Ado About You) first appears in the novella "A Fool Again". With this series, I continued to write about one of my favorite motifs: friendships among women: a thread in the Pleasures books, it is the backbone of the Duchess series. Another development in this series is my use of the continuing story of one character. Duchess in Love is the story of Gina, a duchess who hasn't seen her husband since he ducked out the window the day of their wedding, leaving their marriage unconsummated (and it's been years!). 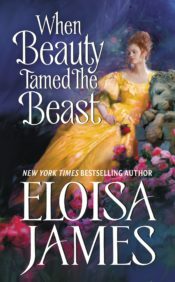 But that novel also introduces one of my favorite bad girls, Esme. 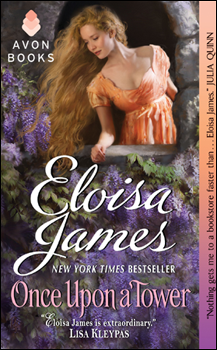 Esme's story continues through the following three books, tying together all four books, though each stands on its own. Probably my favorite here is Your Wicked Ways, simply because I think that in that book (the fourth), I finally figured out how to depict a testosterone-poisoned man - and let's face it, they all are! 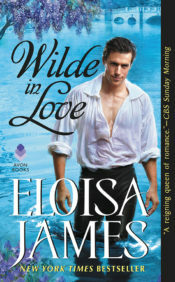 A final note on connections: one of the testosterone-drenched males depicted in Your Wicked Ways, the Earl of Mayne, actually wanders out of this novel and becomes a major player in the Essex Sisters books that follow. 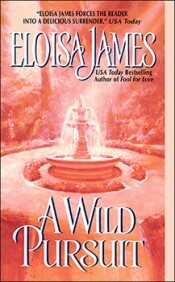 In the novella, "A Fool Again", the hero is Tobias Darby, one of Simon Darby's missing twin brothers from Fool For Love. These are my very first books, and consequently dear to my heart. They are my most heart-wrenching books. 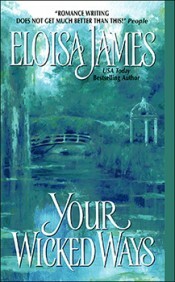 I wept buckets writing these books...readers wept along with me, and they launched my career. Each of these has won a place as a reader favorite. Alex (in Potent Pleasures) can be so harsh that it's a pleasure to hate him--and then love him when he realizes his mistakes; Sophie (in Midnight Pleasures) makes us weep with her, and laugh with her--she's my first bad-girl heroine; Gabbie (in Enchanting Pleasures) is happily plump and has to dump her first fiancé to find one who loves her lush figure. The Ladies Most series sprang from the pure pleasure of collaborative writing. Connie Brockway, Julia Quinn and I had already been friends for years when we came up with the idea of writing a Novel-in-Three-Parts. We met in New Orleans and had a wonderful time planning the characters and plot of The Lady Most Likely…, following up with The Lady Most Willing… two years later, after a visit to Seattle. Each of us took on one heroine, writing her story ourselves, but we collaboratively wrote the novels' openings, closing, and in-between bits. If you read from a printed copy, you'll see the name of the author on top of pages she wrote. If you read on an e-reader, it's even more fun because you need to guess whose voice you're reading as you go through the book!